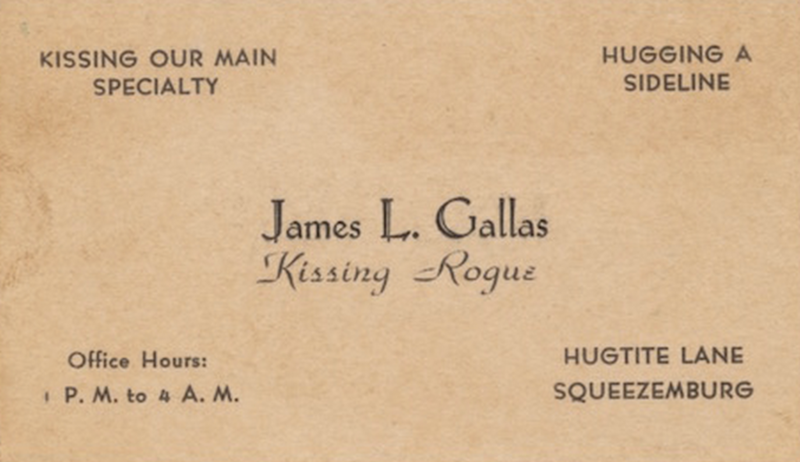 James L. Gallas, kissing rogue. 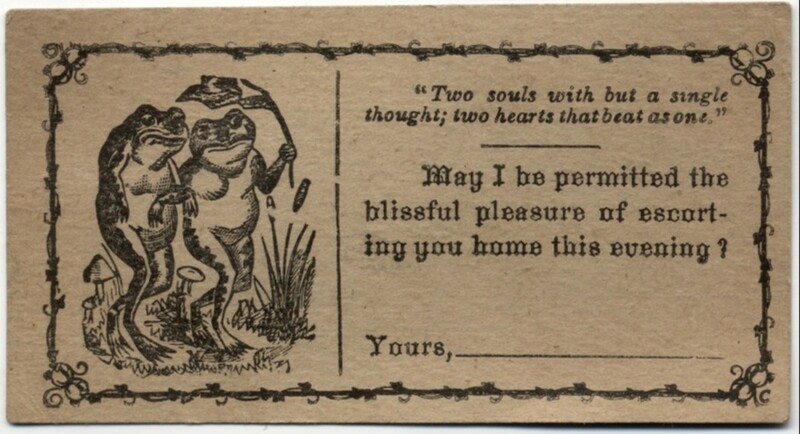 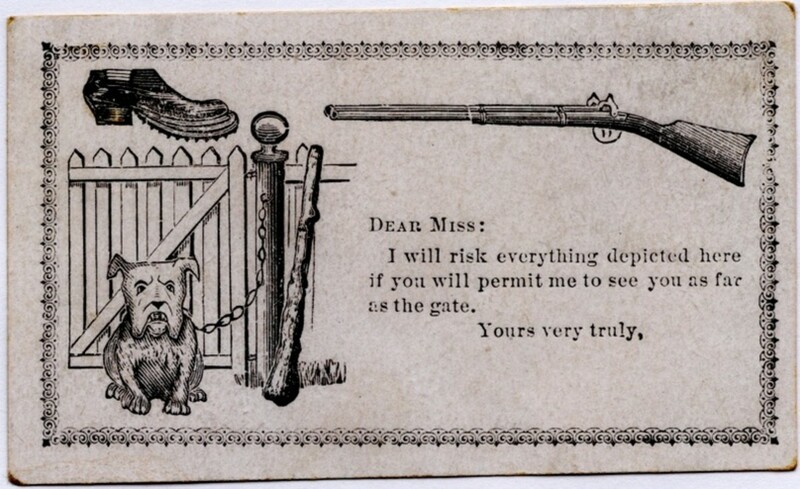 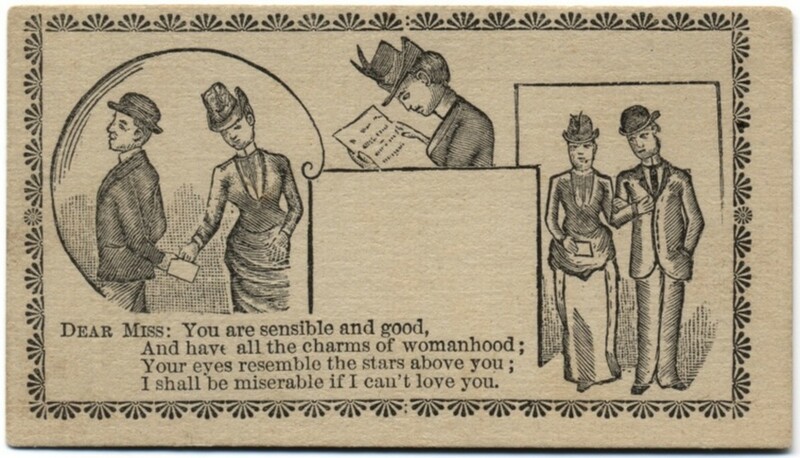 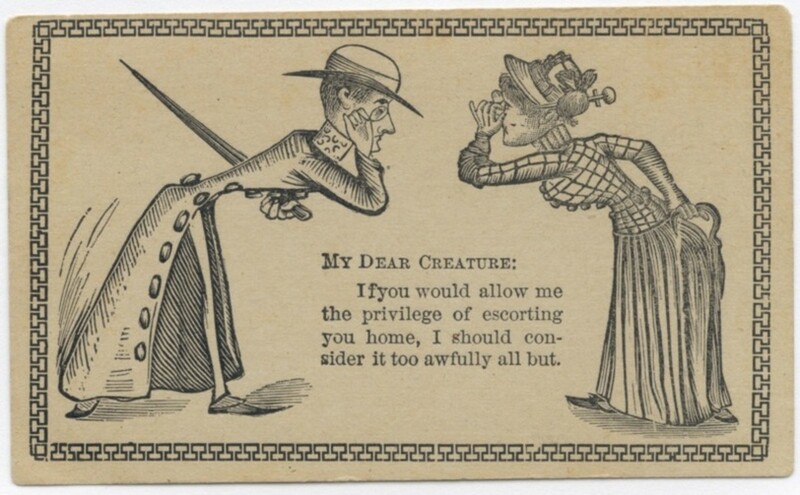 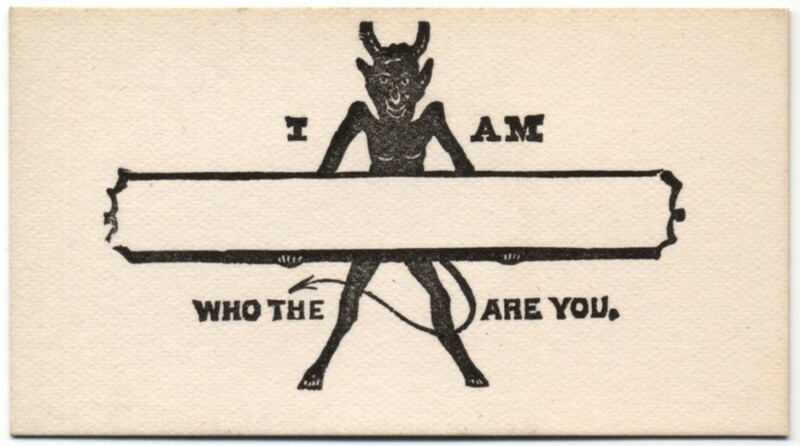 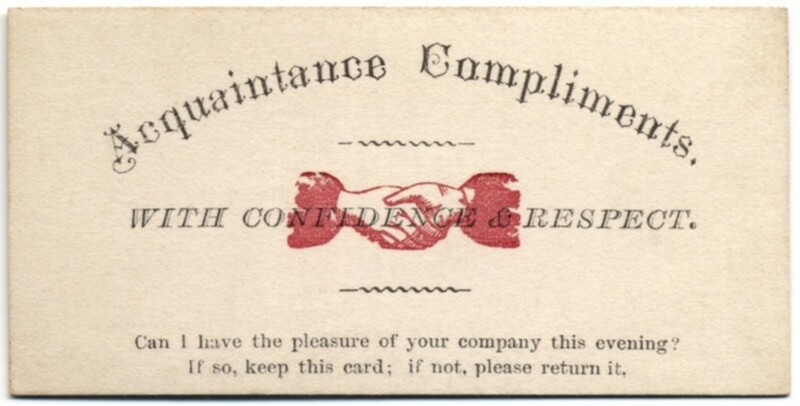 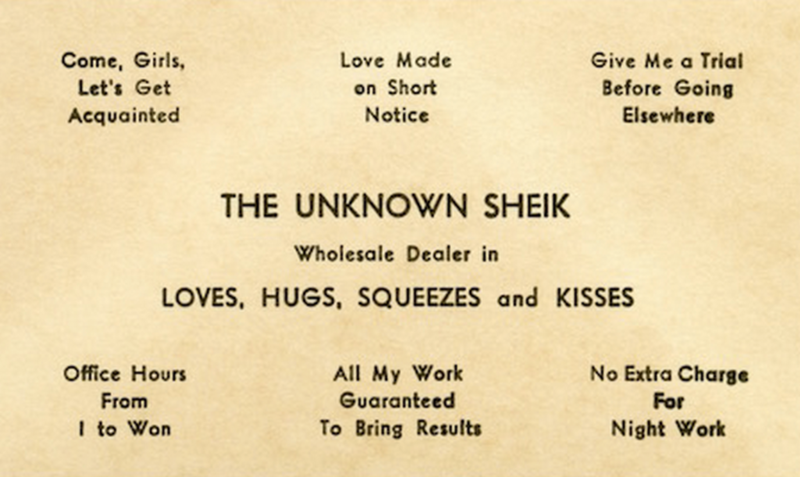 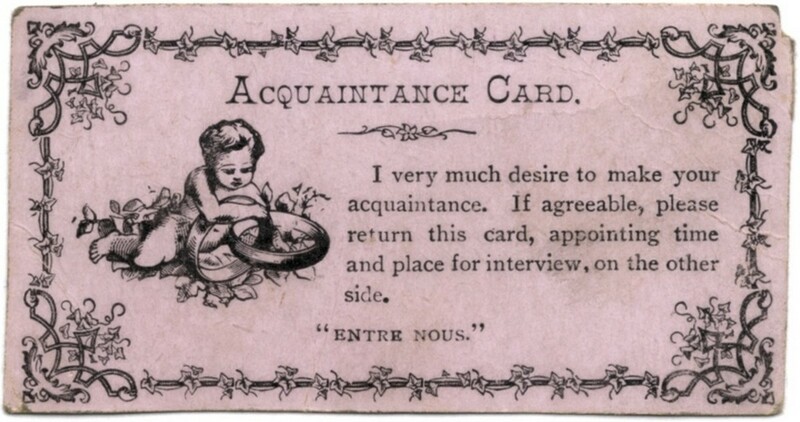 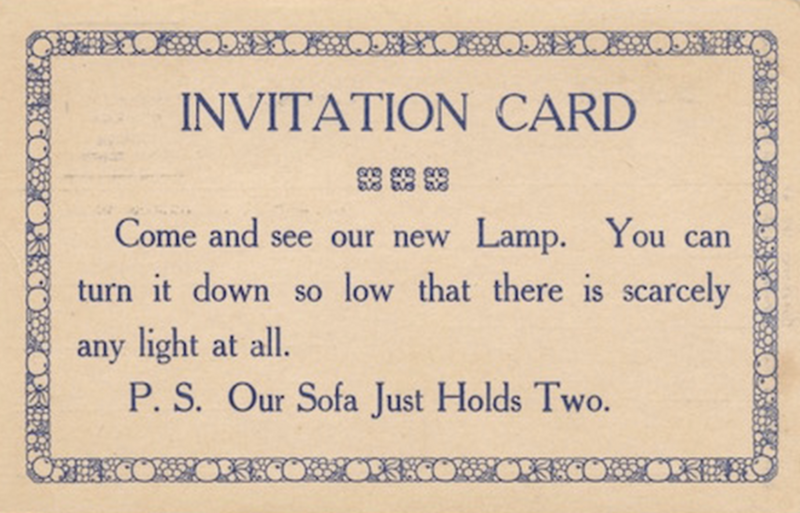 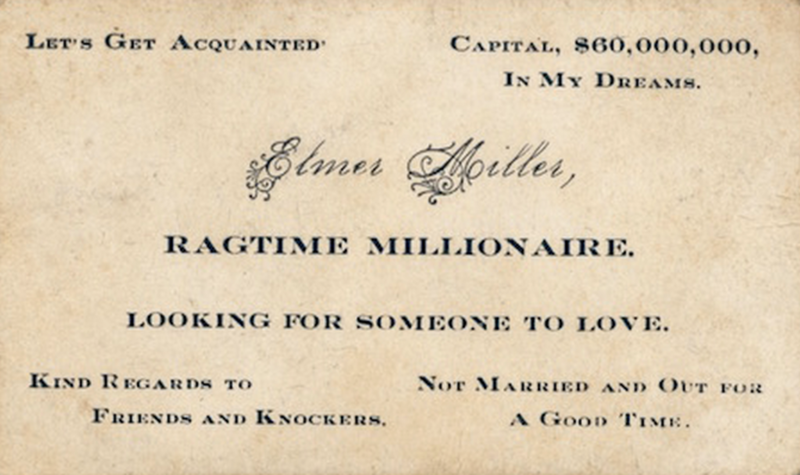 Back in the 1870s and 1880s, young men would keep a few of these cards in their back pocket and hand to women they found attractive. 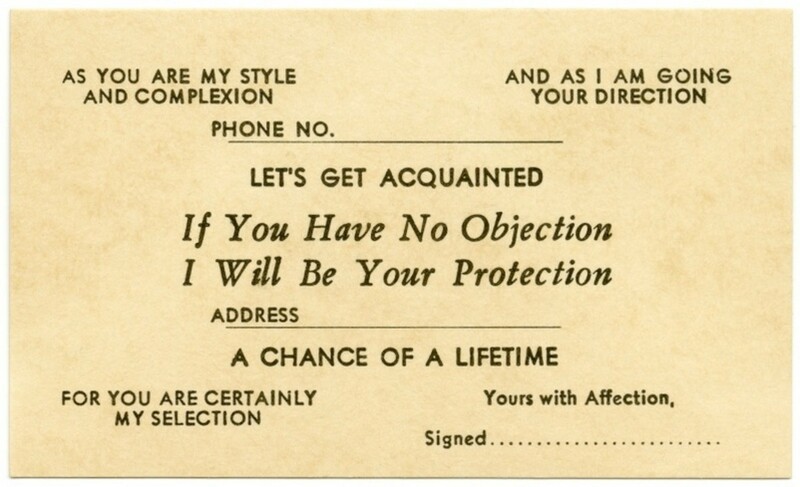 In a world without OK Cupid, Tinder, or social courtesy, apparently this is how matches were made. 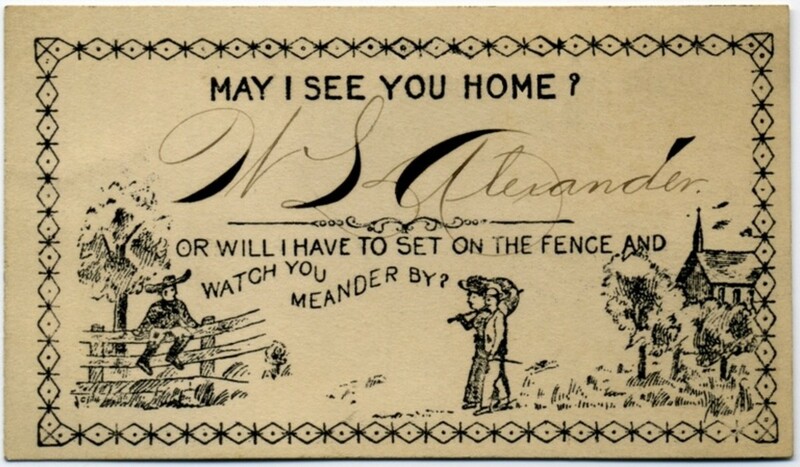 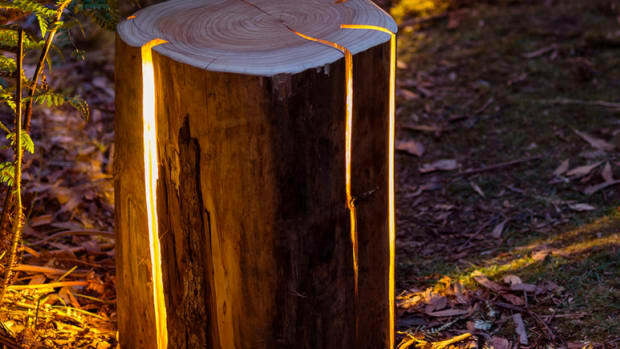 Alan Mays has an amazing private collection of these and we just had to share a few of the best ones. 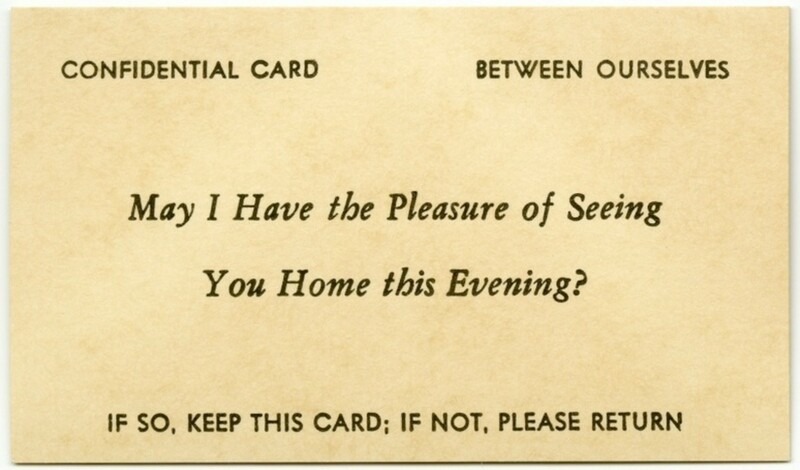 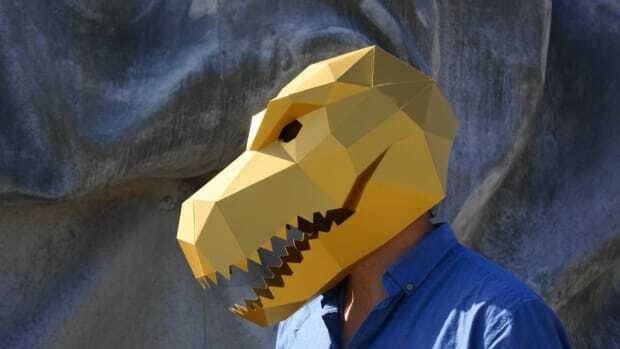 Hat tip to Dangerous Minds for the find.